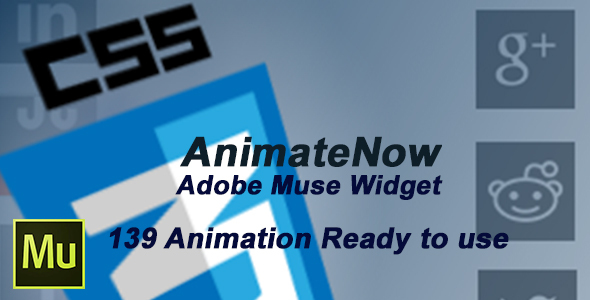 This is the most cool collection of animation effects for your cool Adobe Muse website. 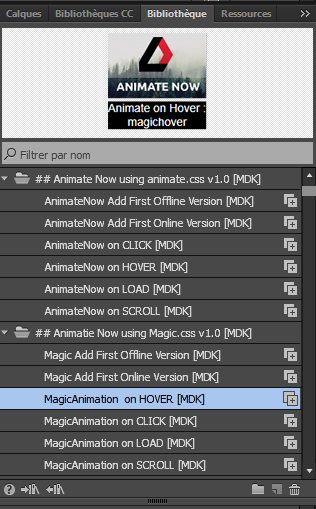 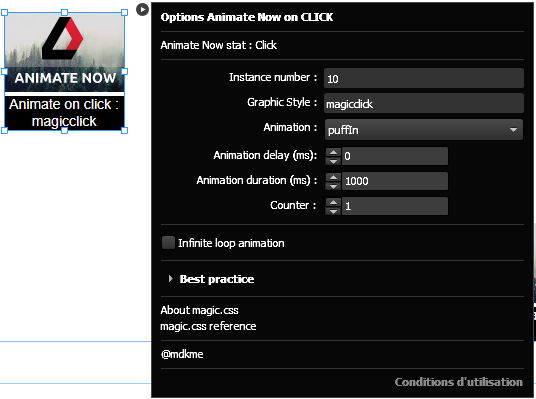 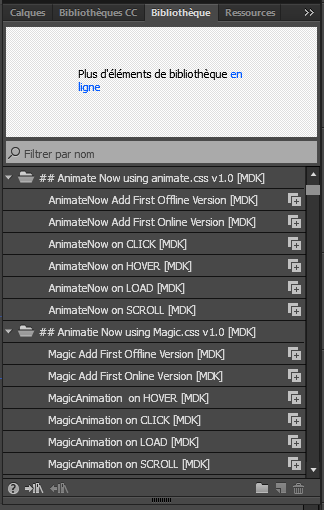 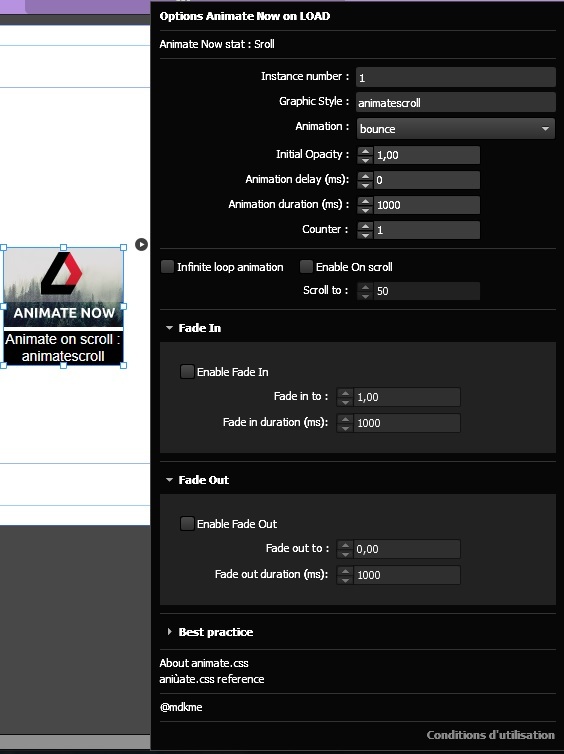 Choose from 139 Animation Effects. 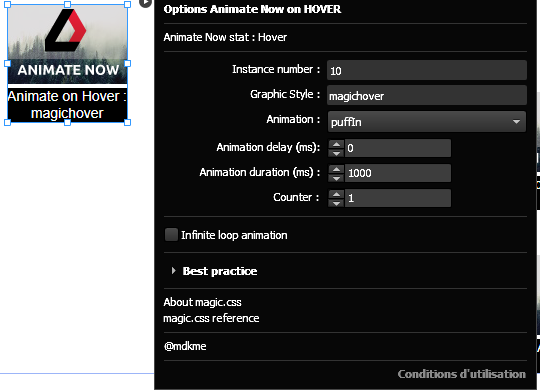 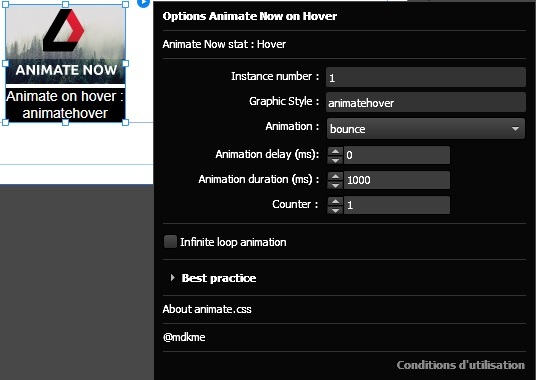 Trigger animation On Start, On Hover, On Click, and On Scroll. 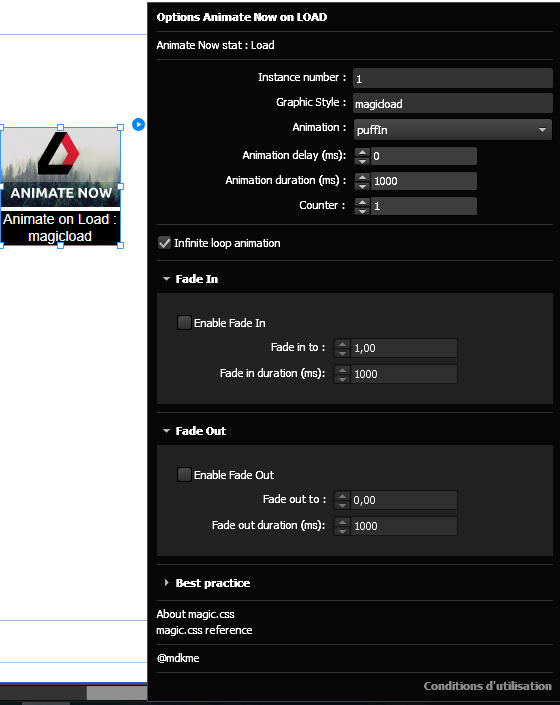 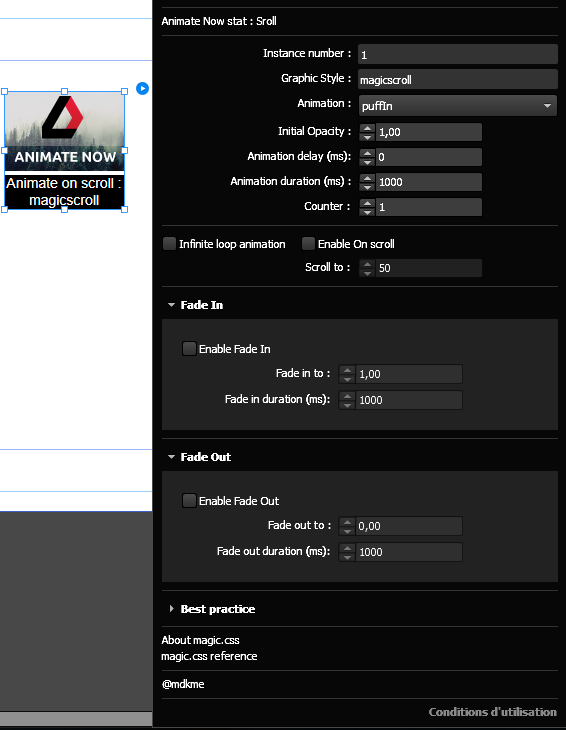 Fade in and Fade Out options for your animation. 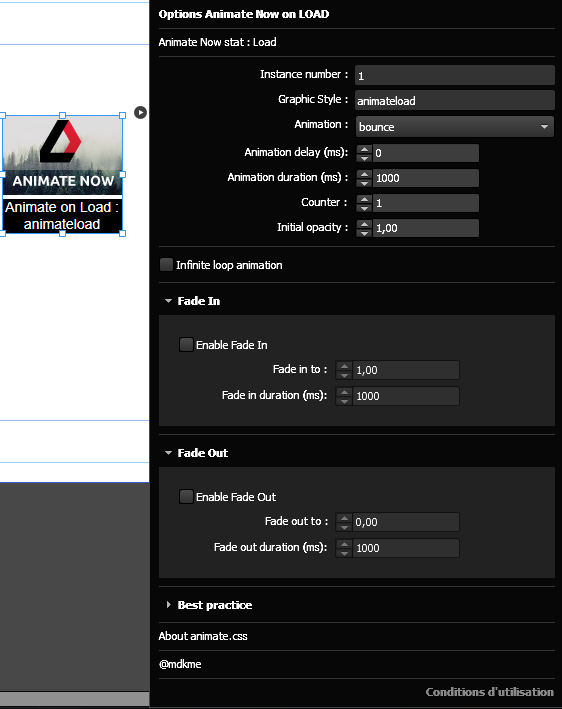 Set the duration of the animation and add a delay to the animation if you would like it to start later after it is triggered. 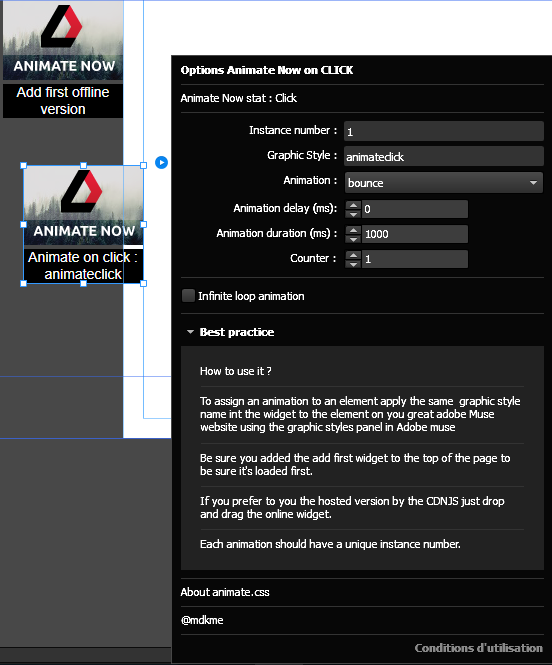 Add to any element on your Great Adobe Muse website.